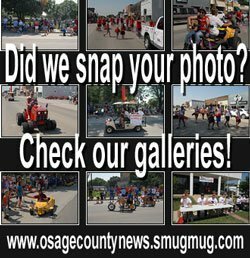 Sept. 28, 2014: Rachelle L. Harwood, 33, Osage City, domestic battery, OCPD; Wayne T. Mitchell, 40, Osage City, domestic battery, $500 cash bond, OCPD. Sept. 29, 2014: Kristal H. Morgan, 43, Scranton, Osage County warrant for failure to appear, OSSO; Tyler D. Wilson, 24, Burlingame, possession of paraphernalia, possession of narcotics, OCPD; Theresa E. Rapoza, 26, Topeka, possession of paraphernalia, driving while suspended, possession of narcotics, OCPD; Shawna M. Valentine, 32, Osage City, unlawful distribution, possession of paraphernalia, possession of narcotics, OCPD; Gregory Lovett, 19. 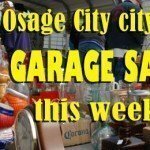 Carbondale, Osage County warrants for probation violations, OSSO. 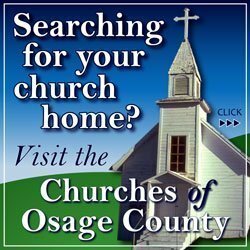 Sept. 30, 2014: Shawn E. Ochoa, Emporia, 46, Osage County warrant for violation of a protection order, $2,500 own recognizance bond; Daniel B. Lehnherr, 21, Osage City, Osage County warrants for probation violations, OSSO. Oct. 1, 2014: Daena I. Fernandez-Alcala, 23, Topeka, violation of restrictions on driver’s license or permit, driving while habitual, $1,500 surety bond, SPD; Robert E. Springstead III, 31, Vassar, Osage County warrant for failure to appear, OSSO; Robert N. Urban, 35, Lyndon, Osage County warrant for failure to appear, OSSO; James M. Berry, 30, Quenemo, Osage County warrant for failure to appear, $500 own recognizance bond, OSSO. Oct. 2, 2014: Steven K. Rowe, 64, Ottawa, Osage County warrants for violation of bond, $10,000 surety bond, OSSO; Danile L. Mathas Jr., 21, Lyndon, criminal theft, domestic battery, criminal trespass, LPD. Oct. 3, 2014: Debora M. Arnett, 54, Kansas City, domestic battery, $500 surety bond, OSSO. Oct. 4, 2014: Austin M. Batterton, 22, Burlingame, driving under influence, $1,000 surety bond, SPD; Robert W. Prichett Jr., 33, Topeka, driving under the influence, $1,000 own recognizance bond, OSSO.